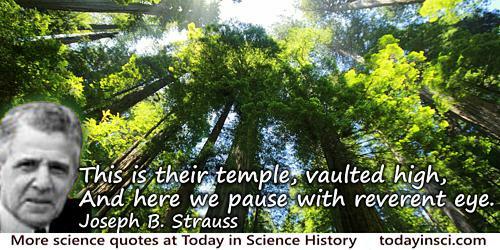 Einstein was a giant. His head was in the clouds, but his feet were on the ground. Those of us who are not so tall have to choose! Spoken at a seminar, as quoted by Carver A. Mead, Collective Electrodynamics: Quantum Foundations of Electromagnetism (2002), xix. 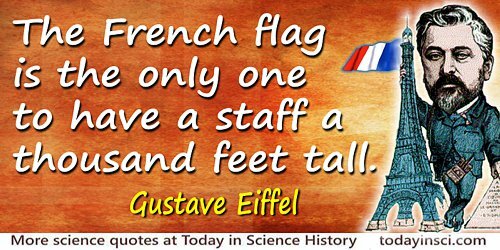 The French flag is the only one to have a staff a thousand feet tall. Written by Eiffel on one fold of a souvenir fan he had created for his sister, as described by Jill Jonnes, Eiffel's Tower: And the World's Fair where Buffalo Bill Beguiled Paris, the Artists Quarreled, and Thomas Edison Became a Count (2009), 237.